Since you’ve finished all your holiday shopping, wrapping and decorating, I think it’s time for a drink. Oh wait, you haven’t started yet? Me neither! I think that calls for a drink. 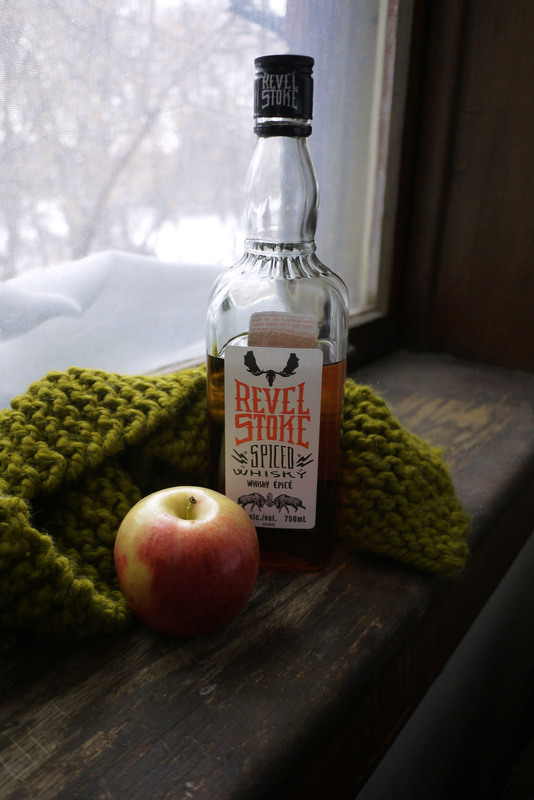 This recipe requires more prep than the average cocktail, but you’ll have a big pot of apple cider that will last until the new year. And if you’re hating Winnipeg’s -40 weather this will definitely warm you up. This recipe is really simple and easily reheated after the fact. I found recipes here and here and altered them a little based on what I had in my cupboards. I added a little too much sugar in the first batch because I didn’t account for all of the natural sugar in the apples. I ended up cutting the cider with some water to make it less syrupy, which worked like a charm. 1. Quarter the apples, you don’t have to worry about the seeds and stems unless you want some spicy apple sauce at the end (not a terrible idea). 2. In a big stockpot, add apples and sugar and fill with enough water to cover the apples. 3. Tie all of the spices in a doubled-up piece of cheesecloth and add it to the pot. 4. Bring to a rolling boil and leave, uncovered, on high for 1 hour. Turn down the heat and simmer, covered, for 2 more hours. 5. Take off heat and let the liquid cool before thoroughly smushing (accurate, but made up word) everything with a potato masher. Using a spoon, push the mixture through a sieve to strain out the stems and pulp. 6. Reheat the cider on the stove or in the microwave. 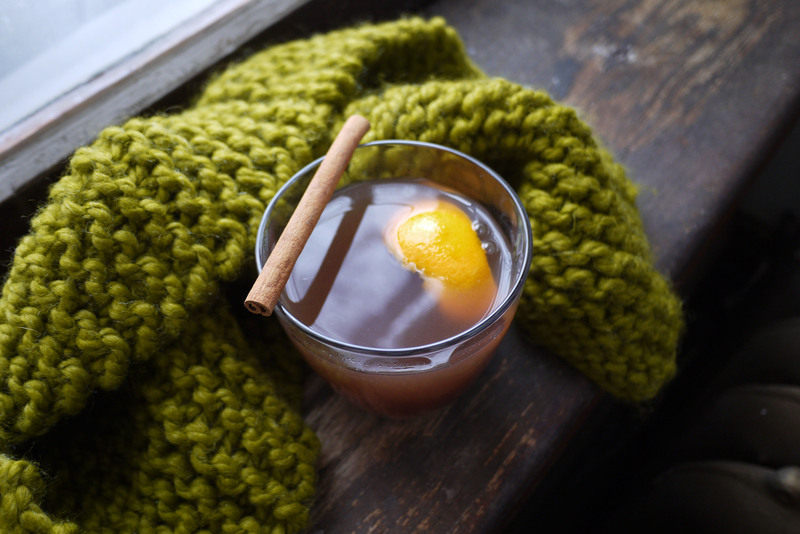 Add 1 1/2 ounces of whisky or rum to a mug and top with hot apple cider. Garnish with an orange peel.